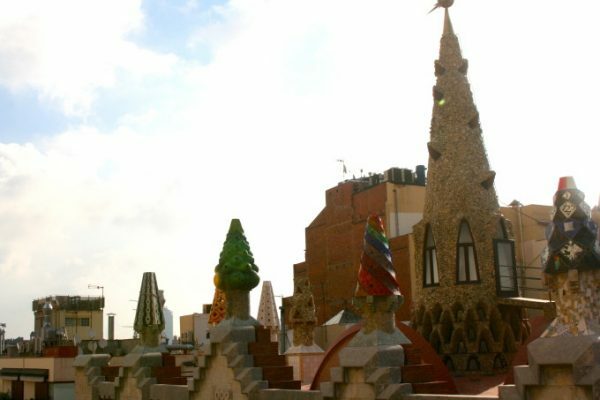 Antonio Gaudi, with his drip-sandcastle Cathedral and his whimsically wavy buildings, is one of the main draws that brought us to Barcelona. 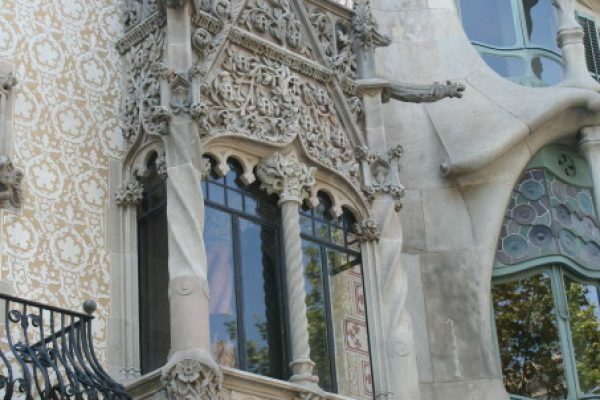 I’d come to deeply admire him in my early studies of art and architecture as someone whose interpretation of Art Nouveau—a style I love—soared into a league of its own. 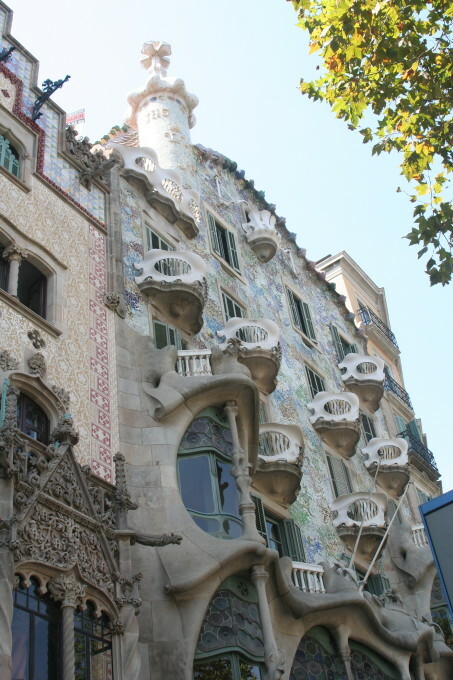 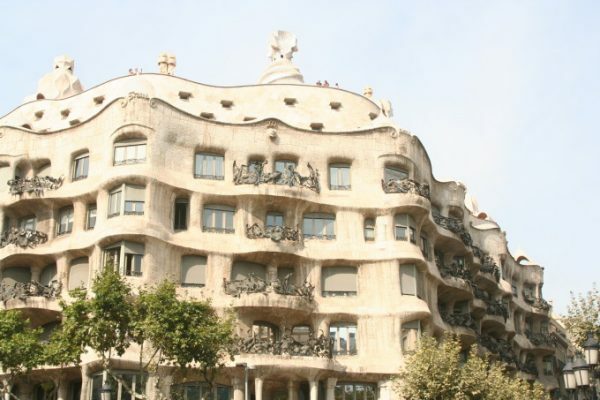 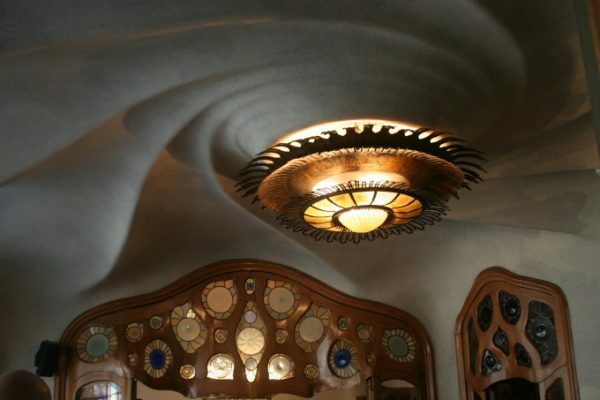 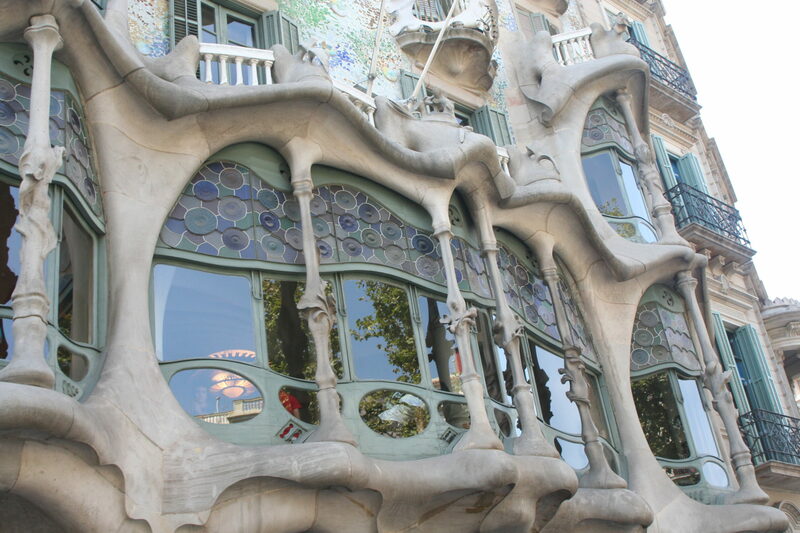 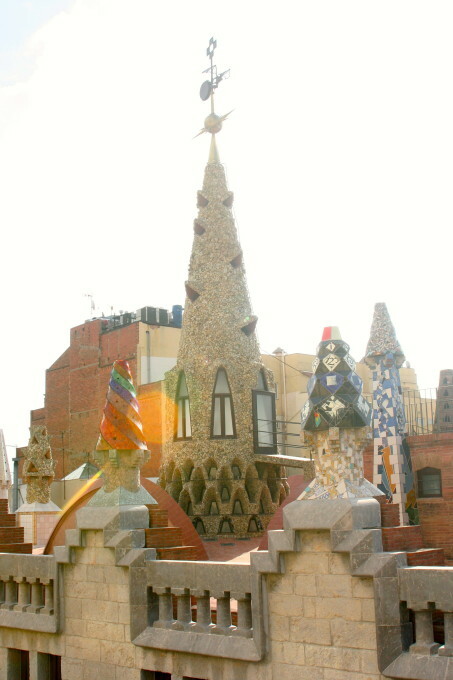 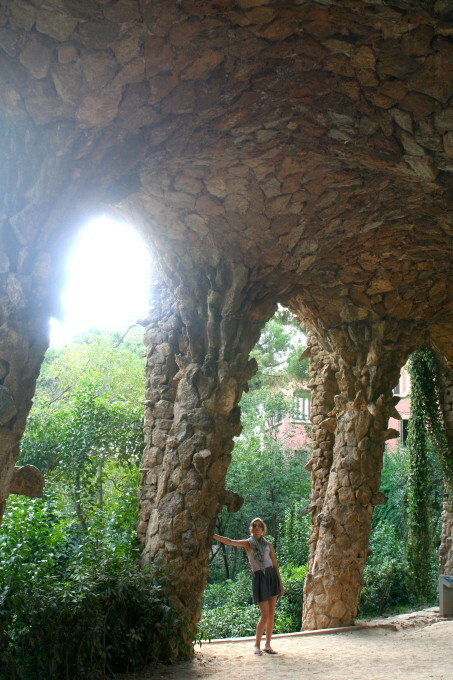 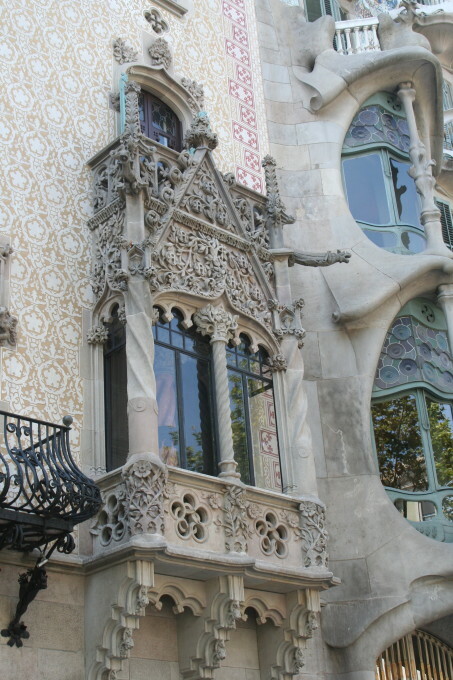 Really—there is no one like Gaudi. His ability to play with color and architectural form is unmatched. 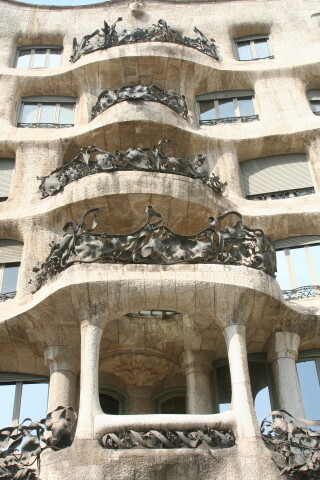 His buildings are iconic; you can spot them a mile away. 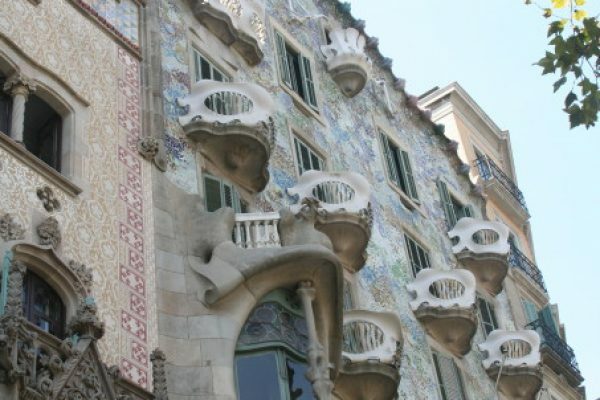 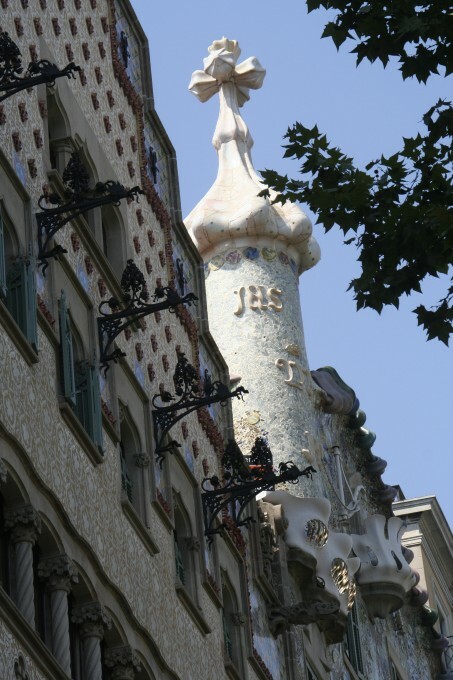 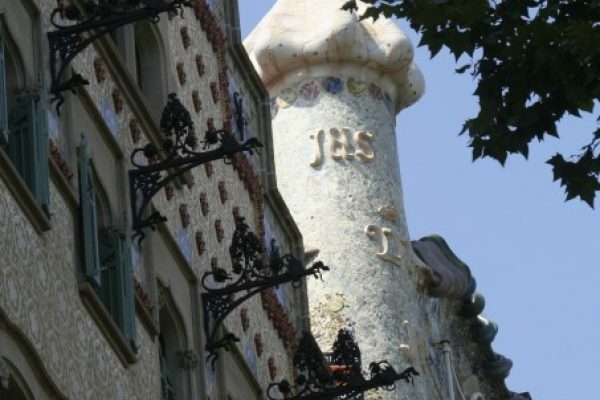 Walking through the bustling streets of Barcelona and seeing that liveliness and enchantment reflected in his buildings makes it no small wonder that Barcelona heralds him as their own. 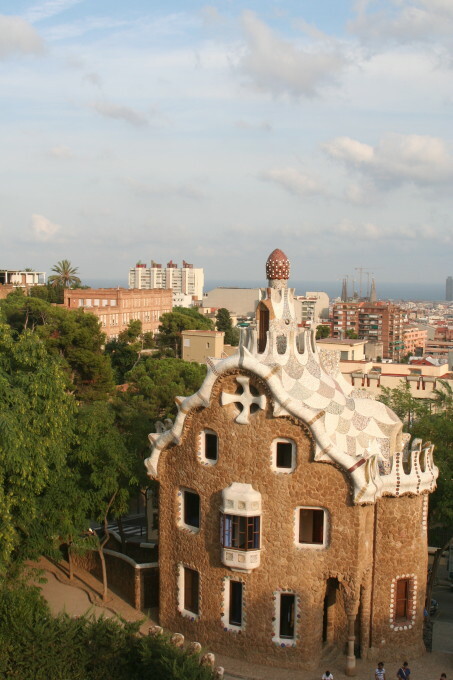 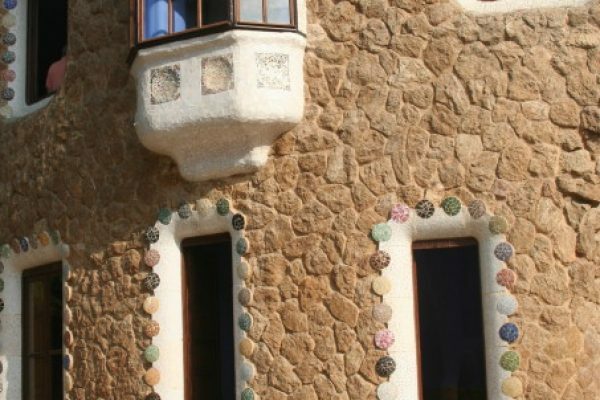 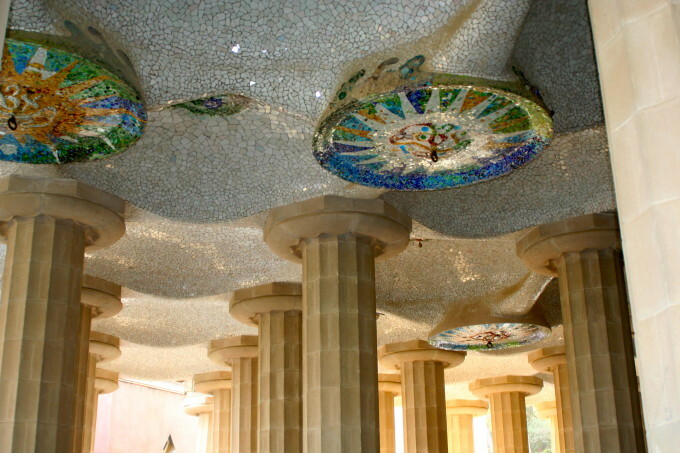 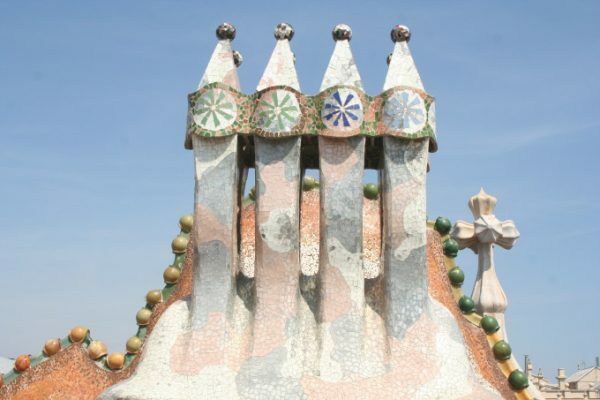 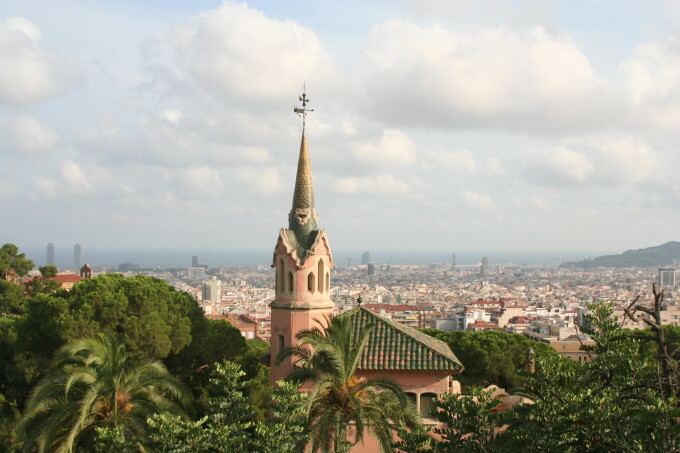 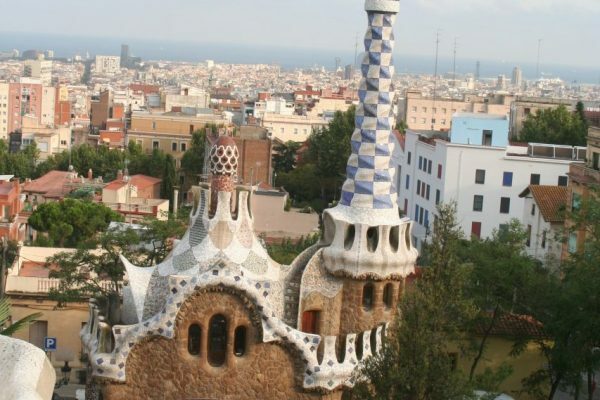 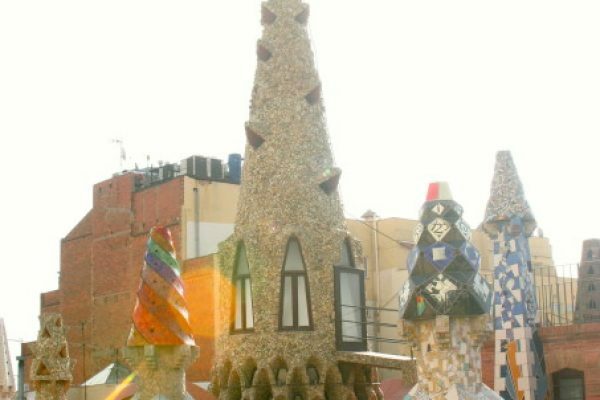 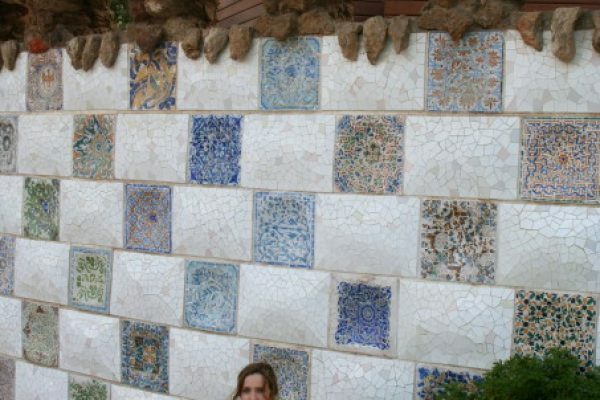 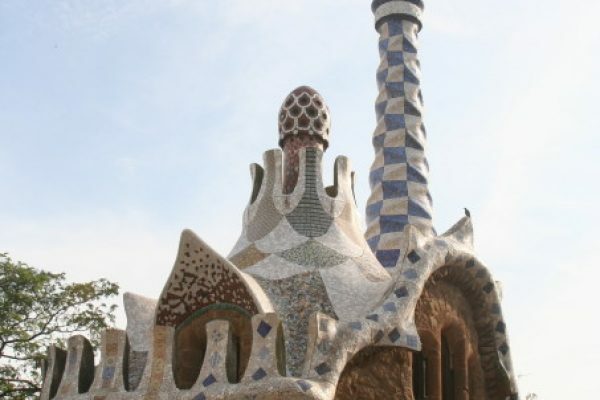 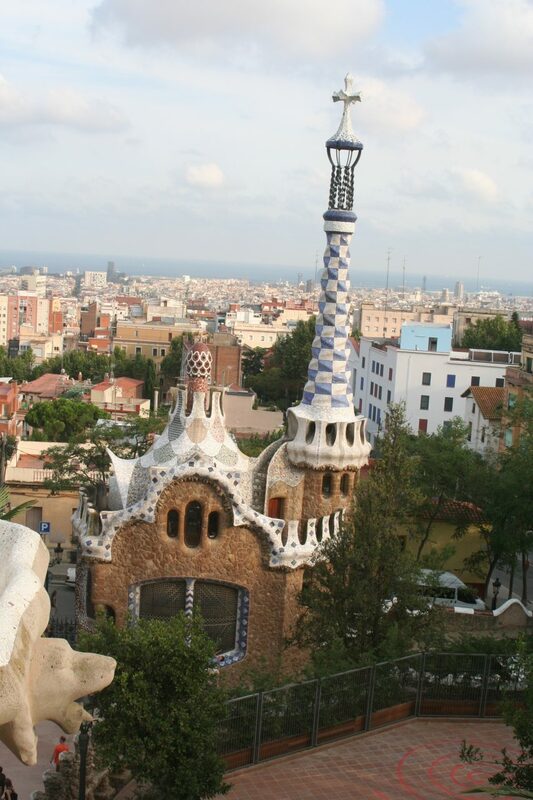 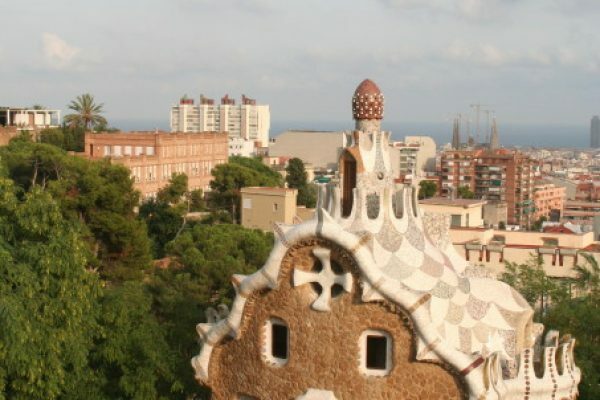 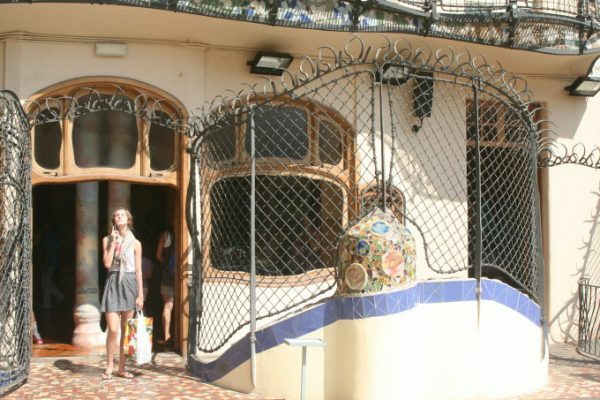 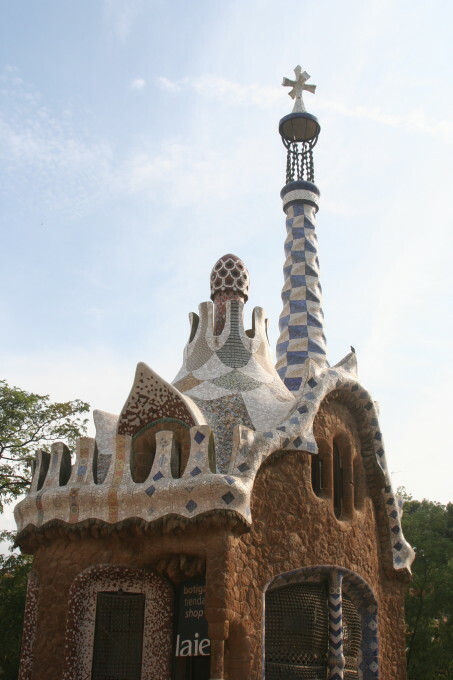 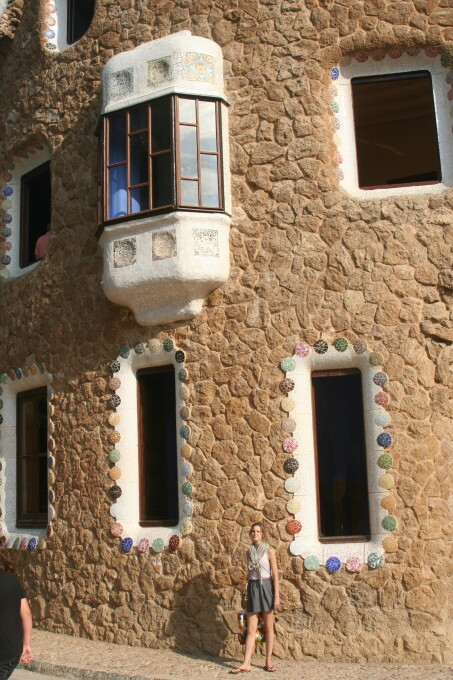 One of our favorite Gaudi masterpieces was his Park Güell, a massive garden filled with his signature curves, colors, and flamboyant mosaics. 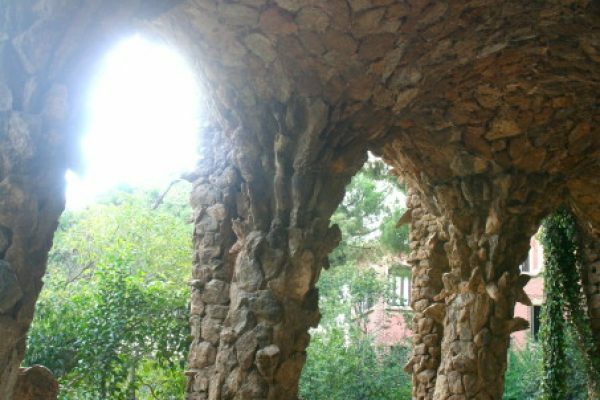 Within one of the organic, cavelike structures in the garden, musicians take up residence and the sounds of their stringed instruments and drums reverberate off the stone walls; the effect is transcendent. 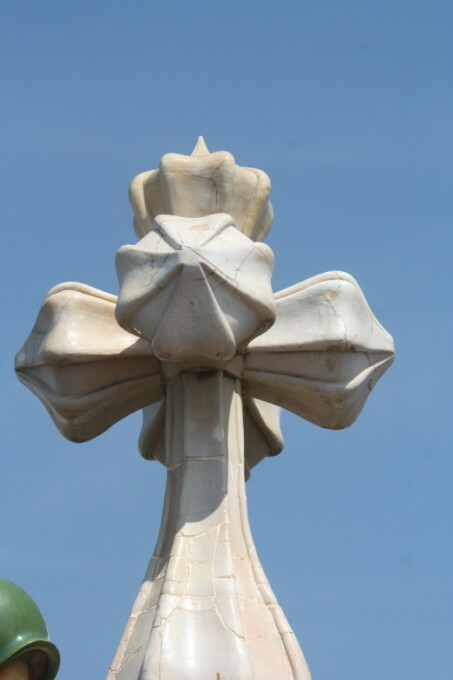 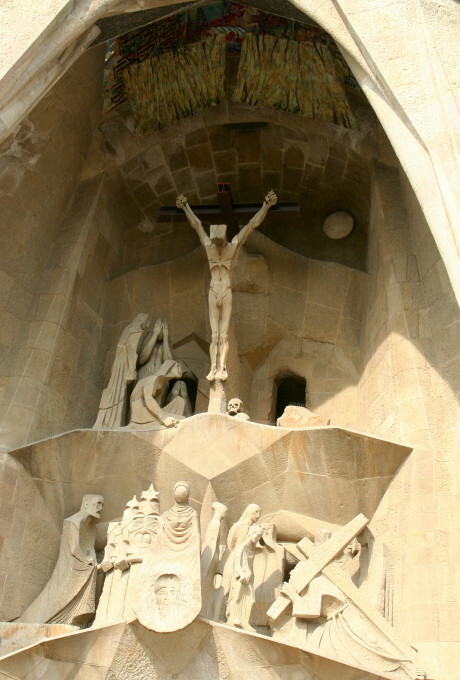 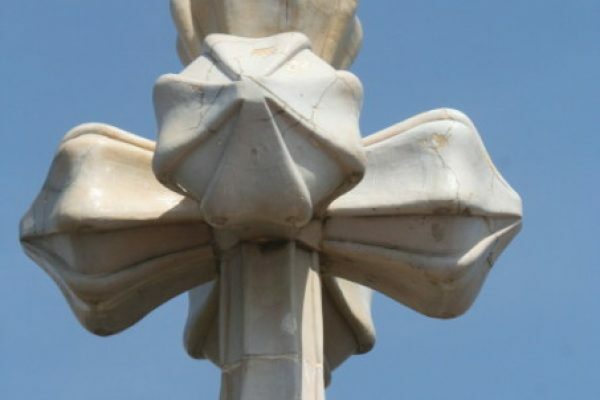 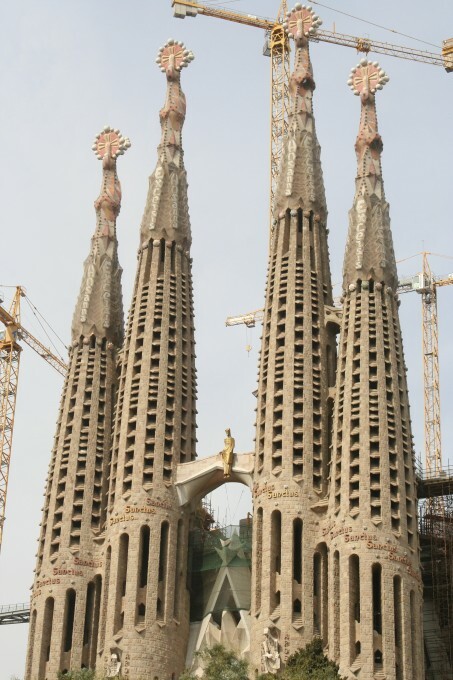 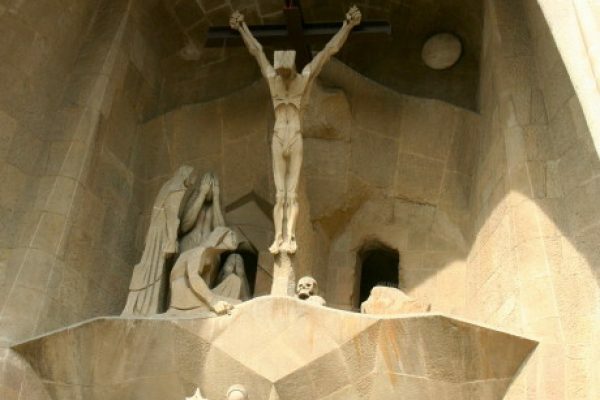 But nowhere is Gaudi’s penchant for the transcendent put to better effect than with his final work, the work that he knew he would never see to completion: the Sagrada Familia. 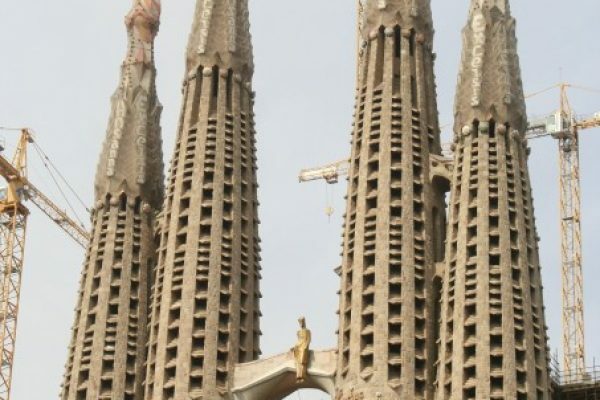 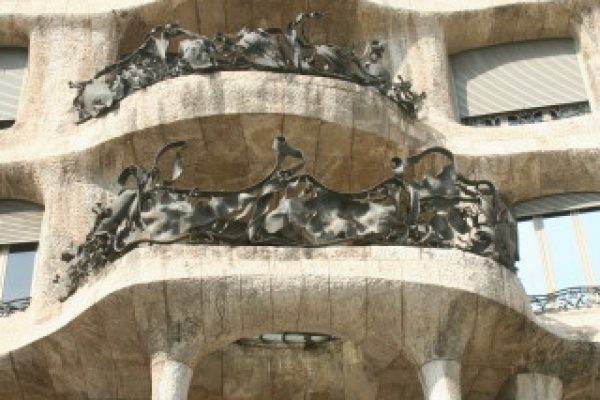 It was this work in particular that earned Gaudi the epithet “God’s Architect.” Sadly, it was nearly completely covered in scaffolding when I was there; all the more reason to hurry back soon!